John Meehan – Principal – Accredited Specialist in Advocacy and Children’s Law. John has been practising law since 1977, specialising in the areas of Criminal Law, Family Law and Care and Protection. John has extensive experience in criminal law, family law and care proceedings recognised by completing the specialist accreditation qualification and being grant accreditation by the Law Society of NSW as a specialist in Advocacy and Children’s Law. 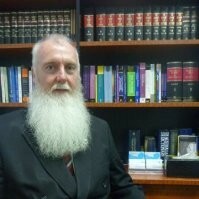 John has been a member of the NSW Children’s Court Advisory Committee being appointed by the NSW Attorney General, and also was previously the chairperson of the Juvenile Justice Committee of the Law Society of NSW, and a member of the Law Society of NSW Specialist Accreditation Advisory Committee for Children’s Law. John is very well known for his specialist knowledge in Children’s Law. John has extensive experience in conducting and chairing judiciary proceedings for sporting bodies, including the educating of judiciary panels in judiciary hearings. John has been the honorary solicitor for the NSW Country Rugby League Referees Association (CRLRA) since 1997 and in that role have developed an expertise in drafting constitutions for sporting associations. In recognition of his service, the CRLRA awarded John life membership.